In her most extensive public comments on the Nov. 8 election, Clinton told a New York conference she was derailed by Comey’s Oct. 28 letter informing Congress the Federal Bureau of Investigation had reopened a probe of her use of a private email server and by the WikiLeaks release of campaign chairman John Podesta’s emails, allegedly stolen by Russian hackers. “If the election had been on October 27, I would be your president,” she told a women’s conference moderated by CNN’s Christiane Amanpour. 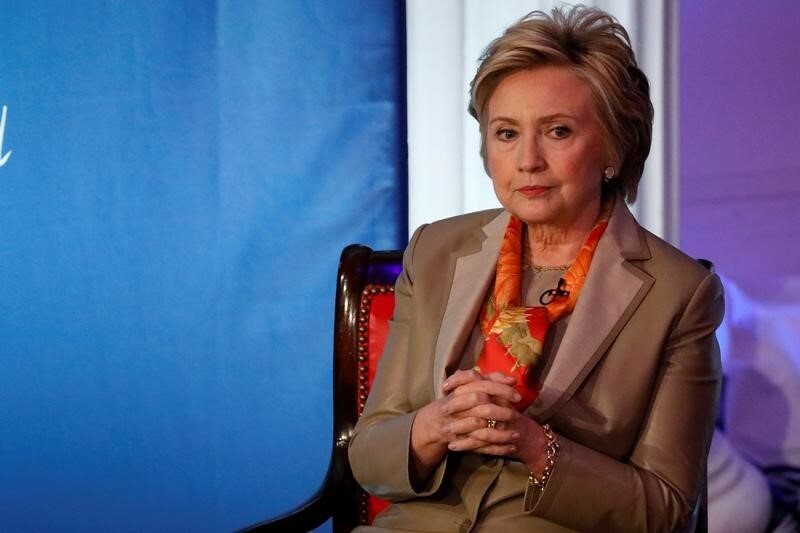 Clinton, who said she is going through the “painful process” of writing a book dealing in part with the election, also said misogyny played a role in her defeat. Becoming the first woman U.S. president would have been “a really big deal,” she said. Clinton took personal responsibility for the campaign’s mistakes, but did not question her strategy or her staff. “I was the candidate, I was the person who was on the ballot. 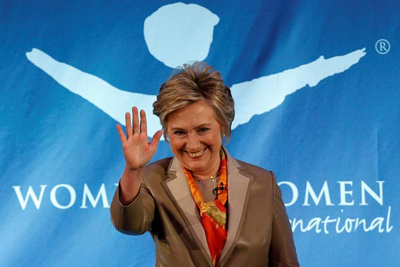 I am very aware of the challenges, the problems, the shortfalls that we had,” Clinton said. She said she had no doubt that Russian President Vladimir Putin tried to influence the election for Trump, and bluntly criticized the new U.S. president for some of his foreign policy views and for tweeting too much. “I’m back to being an activist citizen – and part of the resistance,” she said. 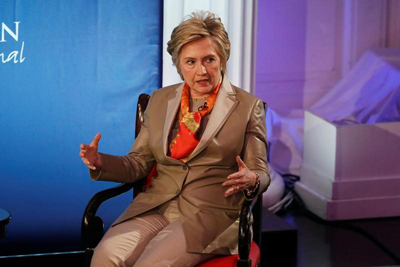 Clinton said broader negotiations involving China and other countries in the region were critical for convincing North Korea to rein in its nuclear programme. She questioned Trump’s recent suggestion he would be willing to meet with North Korean leader Kim Jong Un under the right circumstances. “You should not offer that in the absence of a broader strategic framework to try to get China, Japan, Russia, South Korea, to put the kind of pressure on the regime that will finally bring them to the negotiating table,” Clinton said. She also said she supported the recent missile strikes ordered by Trump in Syria but was unsure if they would make a difference. “There is a lot that we don’t really yet fully know about what was part of that strike,” she said.